New lifestyle focused mall for southern Dubai to be anchored by IKEA and ACE. 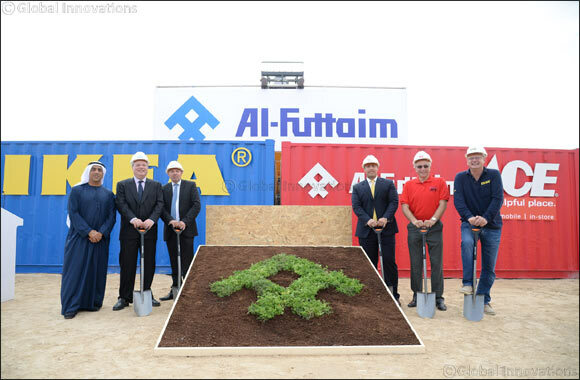 Dubai, UAE, 06 March 2017: Al-Futtaim, one of the most progressive business houses in the Gulf region, has broken ground on the development of a 78,500 sq. metre site, which forms part of the Jebel Ali Development (JAD) mixed use master planned community. In an announcement sure to be a positive hit with consumers - the development will be home to Dubai’s second IKEA, which will be, upon opening, the brand’s newest concept store globally. There will be special focus in developing a high level sustainable store which will also be home to an international training centre for the IKEA family.